The purpose of Search Engine Optimization is to bring more traffic on your web site.In the world of today there are different tools available which help you out in order to bring more traffic on your web site.With the help of Search engine optimization tools your site can easily be ranked in search engines. Following is a list of tools given which helps in SEO and getting your web site ranked in Search Engines. 2. Alexa Rank Comparison: Now it is possible to create a traffic history for any site which you want by using Alexa Rank Comparison. Te traffic ranking is computes by Alexa by taking analysis of web usage done by millions of such users who used Alexa Toolbar. The change of three months is find out by making a comparison between current rank of site as compared to rank of mthat site, three months ago. 3. Meta Tag Generator: This tool is very useful for those who are new in Search engine optimization. Meta tags are considered as the most important factor by search engines. This tool helps out in ensuring that your meta tag is correctly made or not? This tool focuses on keywords and description. What you need to do is simply enter list of your keywords and terms which are related to your site. Once you pit your keyword, its time to insert description of your site. Search engines used it as a website’s “snippet” against each search results. 4. Check Server Headers: This tool Check server headers and verify HTTP (Hyper text transfer code). Basically there are seven HTTP status codes named, 200 OK, 301 Moved permanently, 302 Found, 304 Not Modified, 404 Not Found and 410 Gone. These seven codes are primarily interested from search engine marketing and indexing perspective. 5. Domain Age Checker: In search engine optimization domain age of your website is indeed the most important factor. Older domains always get some edge by search engines, infect in SEO work on the principle old is gold. This tool will help you out in order to find exact age of your domain. You can also use this tool in order to know about your competitors or if you are interested in purchasing of some domain. 6. Future PageRank : Page rank simply shows the importance of your page in front of Google or any other search engine. This tool will Google’s various data centers in order to check any variations in the rank of page against a given URL. Infect all data centers will output the same but during a update if queried, then there are chances that you may get a a quick look of upcoming variations in URL’s PageRank value choosed by you. 7. Keyword Suggestions for Google: Keywords are the basic building blocks of SEO. This keyword Suggestion tool will help you out in order to choose such keywords which are most popular and similar to your selected key term. Usage of this tool is so simple. What you need to do is simply enter the key term and then this tool will query information via different Google searches and provide you detail analysis against that keyword. 8. Keyword Cloud : Keyword cloud is a great tool which provides visual representation of keywords which are used in a site. It shows large fonts of those keywords which have higher density. So with just a single glance you will be able to find out that which keyword is most important. 9. Keyword Optimizer : This tool is specially designed for those who are working with a big keyword list, like SEOs, subscribers, pay per click etc. In this tool what you need to do is simply paste your key terms and automatically this tool will remove all such entries which are duplicate. This tool has capability to re order the list according to alphabets. In this way it saves your time while editing of your list manually. 10. Adsense Preview : Content of your web site automatically get ads by Google Adsense. If your pages are highly targeted, surely you will get better ads from Google Adsense. Adsense preview is such a tool which gives you an idea about the ads which would be placed on the page of your web site. As we know that as your content changes on your site, ads also changed. So you should check often in order to review which ads will be show off while you are updating content on your page. 11. CPM Advertising ROI Calculator : If you are using Cost Per Thousand (CPM) advertising model, this calculator will help you out in measuring your Return On Investment. This tool will provide you details of your monthly impressions from your CPM advertising, your estimated average CPM, Click through rate, Conversion Rate, Average profit per conversion and much more. 12. Link Price Calculator : It is a great tool which helps you out in knowing about the exact amount which you should be paying each month for ads and text links against every page of your given web site. This tool takes into consideration factors like page rank, traffic of the web site, count of back links etc. 13. Robots.txt Generator : This tool is capable to generate robot.txt file for your web site. The purpose of robot.txt file is this that it can hide such directories or files which you don’t want to show to search engine spider. The purpose of this tool is to generate a basic text file you, which you can change according to your demand. This tool is ideal if you want to hide your some directories and files from robots of search engines. 14. Site Link Analyzer : This tool will help you out in order to analyze a web page. After analysis it return data in the form of a table which contains columns of such links which are outbound and also show their associated anchor text. If the image contains a hyperlink, the alt attribute of the image will be included as anchor text. 16. Check Site Age Tool : This is a great tool which you can use in order to check the actual of any site. This tool is used by the Google in order to determine the value and its importance of a particular site. Interesting fact of this tool is this that it has caches of many urls since way back. So it is possible for you to check since how long the site is hosted, whether they do any change in the topics and other interesting stuff or not? 17. Google Adwords Keyword Research Tool: This tool is very specially designed for the researchers Adwords. This tool provide good and quick idea about the organic search and competition. It can shows results in the form of a graph. So you can get an idea about what you want to target. This tool also give information about all sort of Adword stuff like ad prices etc. 18. Contextual Ads Preview/Comparison Tool: It’s a smart tool which can generate preview of both your adsense ads by comparing them with other such ad services like yahoo etc. So now it’s your choice that you can compare Google with yahoo or you can compare image ads with text link and so on. It is a very interesting tool which allows color and other changes in ad formats. 19. Seobook Keyword Suggestion Tool: This tool provide Yahoo search volume and estimated MSN and Google search volume. It also gives different resources like Google Traffic Estimator, Google Suggest, Google Synonym, Adwords keyword tool, Quintura and so no. So in this way this tool can be very much beneficial in researching of keywords. 20. Keyword Difficulty Tool: For keyword researching this tool is highly recommendable. This tool provides you detailed analysis of the top ranked sites for that key-phrase. It analyzes the competitive landscape and then set a percentage score. One of the interesting feature of keyword difficulty tool is this that it just take a while to load all of the available data. The reason behind is this that how much info it digs up, it will do from its own. So you can shut your computer down and can move around and it will continue its work by itself online. 21.Header Checker Tool: This tool is designed to check header tags of any web site. You can use it in order to find out status code of any page in order to make sure that your URLs are properly re-directing and giving back the appropriate status codes. It is very important to make confirm that all of the HTTP status codes are correct because a lot of ranking and indexing problems are occurring these days. 22. Search Combination Tool: This tool is designed to generate every possible combination that can be made between two separate lists of search phrases. It provides you new and latest ways in order to promote your site and business, when you widen your keyword horizons. These phrases can be used in order to change or create new accounts. You can also optimize the internal structure of links, URLs and title tags. 23. Spider Viewer: Now it is possible to take a look at your site in the way a spider look at it. It would leave a major impact and stop glimpse of your site’s most basic information and give you insight of your web site. So you can use this amazing tool in order to check your meta information, internal linking and the content of your page. On the basis of facts given by this tool you can structure your site so that it reaches its maximum potential. 24. URL Rewriting Tool : This tool helps you out in conversion of dynamic URLs into static looking html URLs. Static URLs are usually considered better than Dynamic URLs because of many reasons. In search engines static URLS are mostly ranked better than dynamic ones. Search engines needs lots of time in order to index the content of dynamic pages whereas indexing done quickly ion static pages. For end users point of view static URLs looked friendlier. 25. Back Link Checker: This tool provides you details of page rank of your back links by counting them. The use of this tools is so simple. What you need to do is simply put URL of your site plus Google APIKey. In case you do not have any API key, then you can find it out at www.google.com/apis. They are completely free and so easy to get. 26. Number of pages indexed: This is a very important tool which provides you information about how many pages of your site has been indexed by the search engines till now. So you can get the idea that which pages are indexed and which ones are still left. This tool is made in such a way that it can support all major search engines including Google, Ask, AltaVista, Yahoo, MSN, Alltheweb, Hotbot and so on. 27. Search engine ranking report: This handy tool will generate report that weather your site in is top 100 results of major search engines or not? It gives you result by checking major search engines like Google, Ask, AltaVista, Yahoo, MSN, Alltheweb, Hotbot. So now no need to check the search results one by one in different search engines. Just put your URL and get the top 100 results of all famous search engines. 28. Find IP address of a website: With the help of this tool now you can find out IP address of any site, plus hosting location of any particular website. This would be very useful in order to know about the location of server of your hosting provider. It is possible that some search engine results can be filtered on the basis of geographical location, so you can find out the reason that why your web site is showing well on some local searches. 29. Link popularity checker : Link popularity simply refers to the amount of incoming links to a particular website. 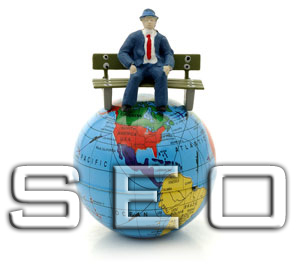 In search engine optimization it is considered as the most important factor. The more qulity links means more and better traffic. This tool is designed to know about the popularity of links for any given page. What you need to do is just enter the URL and it will return the link popularity of that particular URL. 30. Free Meta Keywords Tool : Search engines directly depend on Meta keywords tag In order to know that which keywords are more relevant on a web site. Now search engines are so much advanced that they easily get the idea about the actual keywords located in the body of a web page. This tool is developed that will analyze the Meta keywords of your competition. You can use this tool in order to know that which keywords your competitors are embedding in their Meta keywords tags. 31. Adsense calculator: The adsense calculator is made for such users who are using google adsense on their respective sites. With the help of this adsense calculator users can get idea about their current statistics and they can also calculate their expected daily, monthly and yearly income. Adsense calculator provide outstanding features like Daily page impressions, CTR (Clixk Through Rate) and cost per click. I have good ratings for all except for Alexa. Does anyone know the best way to score high for Alexa? I would really appreciate it. Thanks. Great! Thanks for the share! I just bookmarket your blog and wanted to say that I have really enjoyed reading your blog posts. You have reduced the burden of searching the web for each tool. It is a good collection of SEO tools which are handy and helpful for all SEO’s . Nice. Thank you for sharing this with us. its always fun to read good blog like this, keep up the good work. Well it is a nice collection of SEO tools. Good effort to put such important tools together.Thanks for sharing. very helpful seo tips. try also this tahSin’s gaRage. Great SEO tool-A very nice Effort and post…Very helpful..Thnx for sharing it.